8" Fireman Trophy. 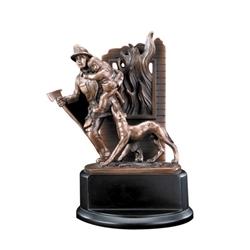 The ultimate in special awards honoring a Fireman. This elegant resin-electroplated award comes packed in a white presentation box so it is ready to give.